Each year, thousands of people are injured or killed in accidents involving private boats and other personal watercraft. 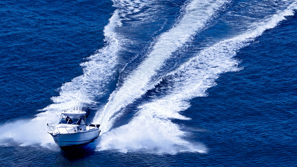 The attorneys at The Law Offices of Frank L. Branson represent boat operators, passengers, and others who have been injured on the water. Lawyer Frank L. Branson and his firm represent individuals injured or killed when boats capsize or collide due to careless or reckless operation, operator inattention, excessive speed, careless passenger behavior, or alcohol. Many times, boating accidents are caused by negligently designed boats or defective boating equipment. The experienced personal injury attorneys at The Law Offices of Frank L. Branson work to make sure that all responsible parties are held accountable and that injured individuals and their families receive fair compensation for current and future needs. To learn more about our experience in private boat accident matters, we invite you to contact the firm here.